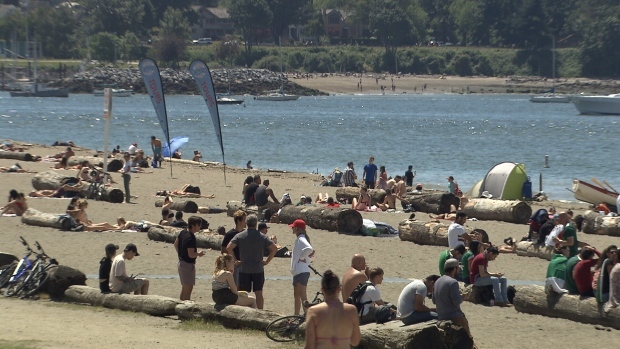 Beachgoers enjoy the sunshine at Vancouver's English Bay in this CTV News file image. 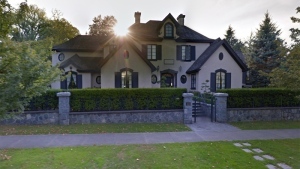 More sizzling hot weather is expected to hit cities across Metro Vancouver this week, according to Environment Canada. The weather agency said new heat warnings could be issued as early as Monday evening as temperatures rise in the region. "The mercury is set to soar this week over southwestern British Columbia as a strengthening ridge of high pressure draws hot air up from the western U.S.," Environment Canada said in a special weather statement Monday afternoon. "Heat warnings may be issued for some communities in the coming hours." Temperatures are expected to peak in the low-30s from Tuesday to Thursday before the weather begins to cool off again on Friday.